One of best ways to discover the far corners of Apuseni Mountains is by taking the narrow-gauge train equipped with a steam-powered engine and known locally as Mocanita. The railway is called narrow-gauge because the distance between the tracks is 760mm (30’’) instead of the usual 1435mm (56”). In the beginning, this kind of train used to have a pragmatic function, transporting goods and people in the mountain regions of the country, but nowadays its transportation function was mostly abandoned in favour of tourism. The maximum speed of this train is ~25km/h (15.5mph) but usually travels with lesser speed. So if you are in a hurry, go by foot, don't take the train. You could ask at this point then why should I use it? Because thanks to its low speed (basically it's like riding a snail), a ride in the Mocăniţa train is a splendid opportunity to take in all the wonders of the surrounding landscape and scenery. Furthermore, a trip to it, it's not just a trip on mountainous roads, but also a journey to the past. The route Alba-Iulia - Zlatna has a length of approximately 40km (25 miles) and was inaugurated in 1895. Due to the increase in traffic, in 1972 the steam engine was replaced by a hydraulic diesel engine and a decade later, in 1982, the railroad was replaced with a standard-gauge line. Starting from 2013 a small section of the old route (narrow-gauge) was rehabilitated. The trip lasts for 3 hours and it covers approximately 15km (9 miles). 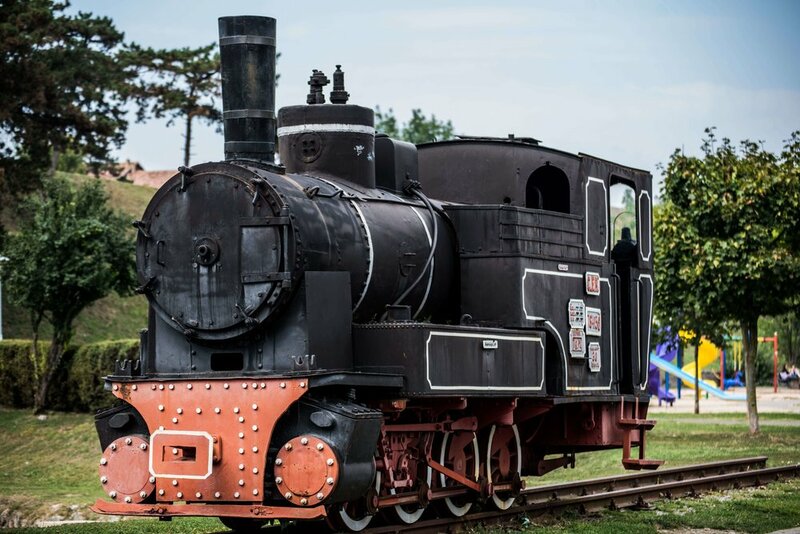 If you can't take a trip, but you would like to see at least one of these trains, take into account that an authentic train engine is exhibited at the former railway track in Alba Iulia, close to the walls of the Citadel. You don’t have to be a trainspotter, a ferroequinologist, a siderodromophile or, put more simply, a railfan, it's enough to be a bit curious to start the adventure.